Loon has announced the installation of a new set of ground stations in Kenya. This is a key step toward the deployment of commercial service in collaboration with Telkom Kenya later this year. The new site in Nyeri adds to similar ones in Nairobi and Nakuru. The installation of ground stations is a key milestone that paves the way for testing with Loon’s stratospheric balloons. The company has announced plans to begin such testing in the first half of this year. 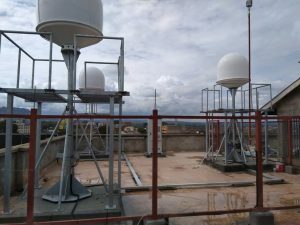 Ground stations are strategically located to support balloon access to an Internet connection. They are located in places that already have access to Internet and data services. Loon works by beaming an Internet signal from these ground stations to a balloon 20km overhead. That signal can then travel across multiple balloons and long distances, allowing Loon to provide service far from where the ground station is located. In this way, Loon can reach underserved areas that have little or no connectivity.